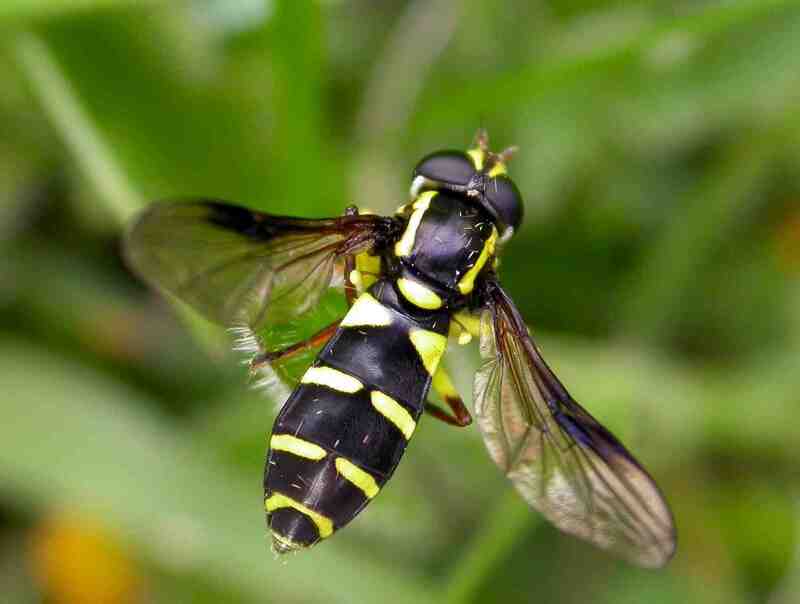 DESCRIPTION: The two vertical yellow stripes on each side of the black thorax, the broad yellow triangles on tergite 2 and the brown stigma in the wings surrounded by dark extensive strips make this a fairly distinctive Hoverfly. The only similar confusion species is X. citrofasciatum. BEHAVIOUR: Low flying. Usually seen on bare ground or low vegetation. DISTRIBUTION: Common in the south becoming scacrer northwards. HABITAT: Woodland rides and open grassland. Can be found swarming in coastal areas after migrating. PERIOD: Late May to September.